NEW YORK (October 9, 2017) – FlightSafety International announces that its Pratt & Whitney Canada (P&WC) training programs are now being offered in Johannesburg, South Africa through a cooperative agreement with ExecuJet. 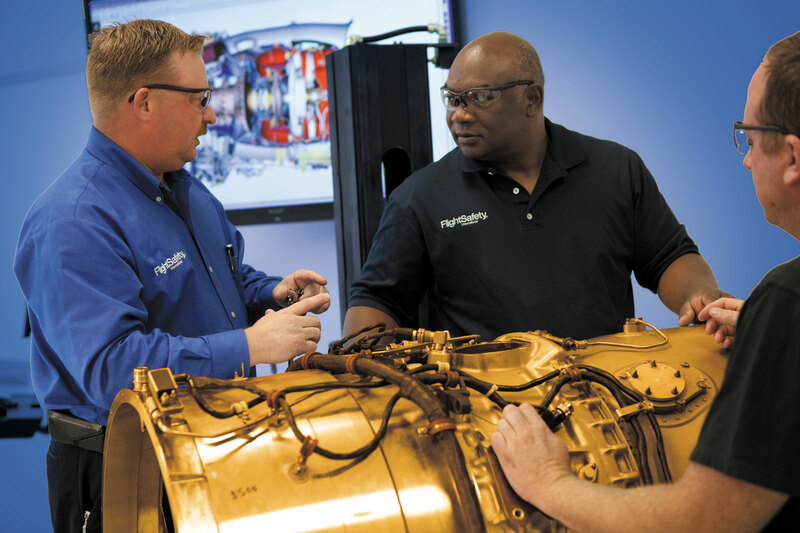 FlightSafety provides advanced, technology-based maintenance training for P&WC products including turboprop, turbofan and turboshaft engines as well as for auxiliary power units (APUs). The training programs offer in-depth classroom and hands-on instruction designed to develop, expand and refine proficiency. The industry-leading maintenance training courseware and curriculum meets worldwide regulatory requirements. Maintenance technicians benefit from FlightSafety’s advanced technology MATRIX training system and use of full-scale systems trainers, major component cutaways, working models, maintenance task simulators and a large variety of test equipment used to demonstrate procedures and reinforce the information learned in the classroom. FlightSafety has been the authorized training provider for Pratt & Whitney Canada since 2010. P&WC training is currently available in Bangalore, India; Brisbane, Australia; Botucatu, Brazil; Dallas/Fort Worth, Texas; Haikou, China; Johannesburg, South Africa; Montreal, Canada; Paris-Le Bourget, France; Singapore; Toronto, Canada; West Palm Beach, Florida; and Wichita, Kansas. FlightSafety has delivered over 15,000 courses for P&WC engines and APUs to customers from 126 countries to date. This includes those taken at Learning Centers around the world and through eLearning and interactive distance learning. The ExecuJet Aviation Group is a leading global business aviation organization offering a diverse range of services including aircraft management for private and commercial registered aircraft, aircraft charter, aircraft maintenance, aircraft completions management and fixed base operations.